Summer is a time to relax yet have tons of fun! The best sidekick to a relaxing summer is a refreshing cocktail. 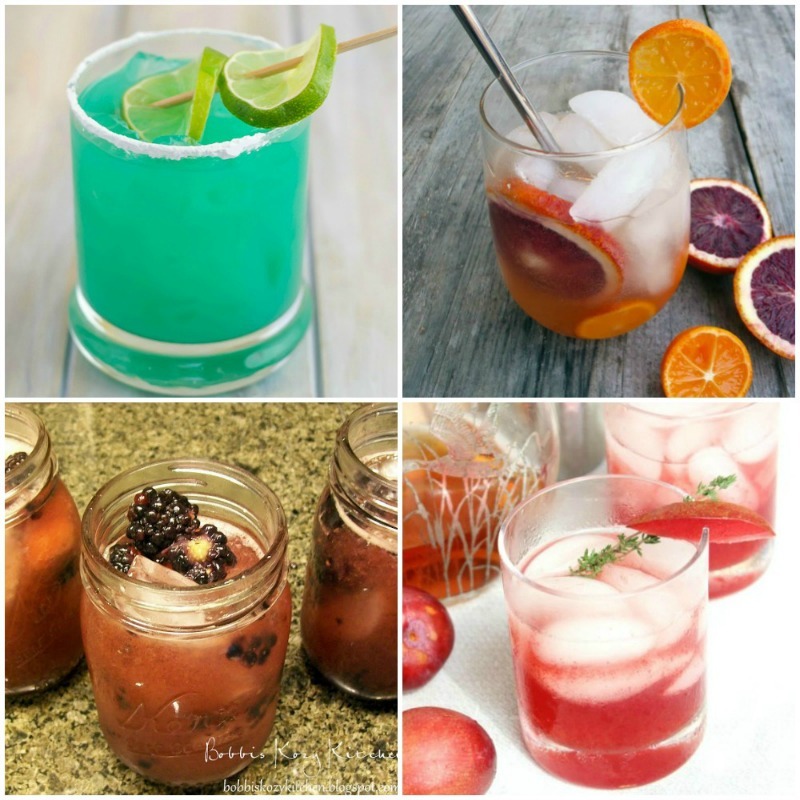 There are so many amazing cocktails that it was difficult to choose our favorites for summer. Check them out! 1. Blue Devil Cocktail | Flour on My Face – If you’re feeling like rum and the islands are your jam this summer, this cocktail will take you there! 2. Bloody Orangina Cocktail | Bobbi’s Kozy Kitchen – Get a kick of citrus with this delicious orange cocktail! 3. WatermelonBlackberry Jargaritas | Bobbi’s Kozy Kitchen – Grab a mason jar and kick back with the refreshing taste of watermelon and blackberries. 4. Plum Thyme Smash | My Suburban Kitchen – Tip back a little bourbon with a hint of plum. This bright red cocktail will feel like summer in a glass. 5. Spicy Tangelo Ginger Mule | Merlot Mommy – If you want something to kick you into gear, this citrusy cocktail will do the trick! 6. 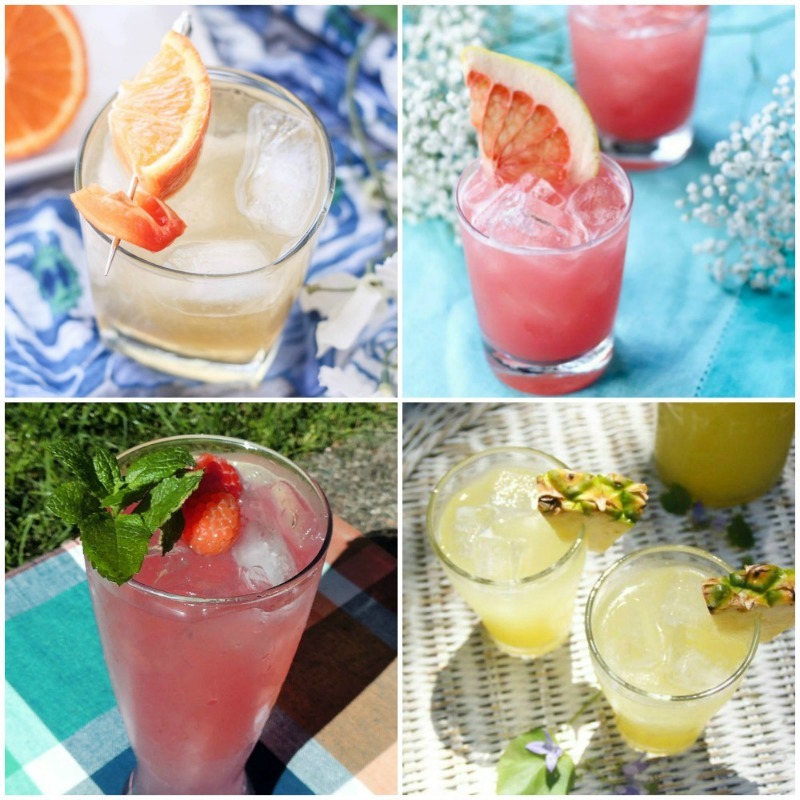 Peach and Guava Lemonade Punch | A Worthey Read – Lemonade never tasted so good with a hint of peach and a little bit of fun mixed in. 7. Sparkling Raspberry Lime Mojitos | Bobbi’s Kozy Kitchen – Raspberries seem to be a staple fruit in the summer and limes are splendid any time of the year. 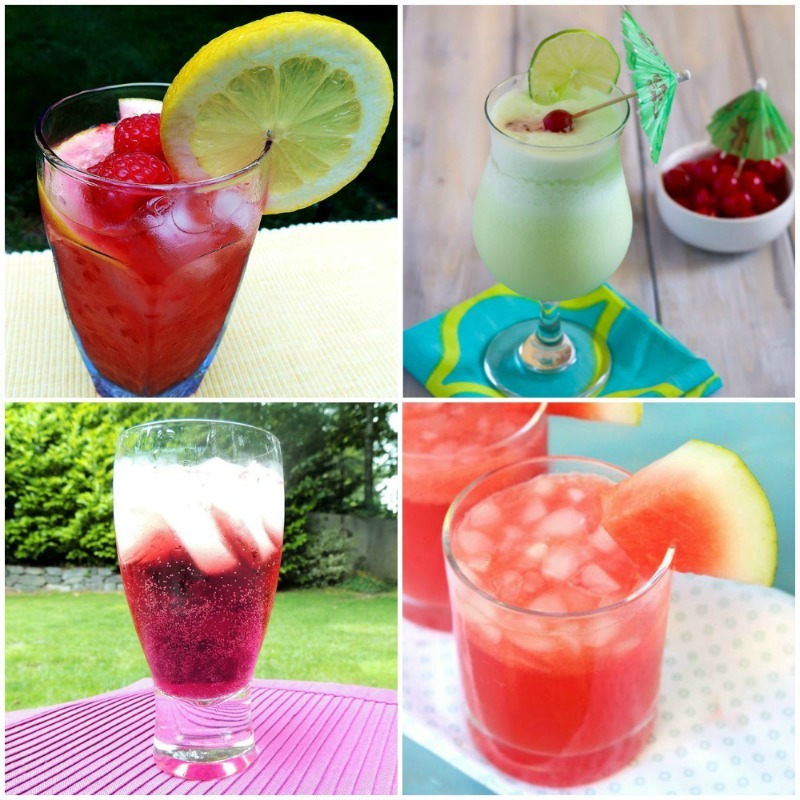 So, celebrate summer with this kickin’ mixture! 8. 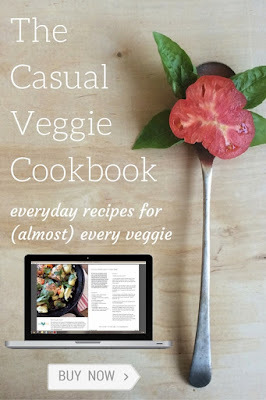 Pineapple Agua Fresca | Scratch Mommy – Want a cocktail that can go both ways? This healthy cocktail can either be virgin or alcoholic, you take your pick! 9. Fresh Raspberry Lemonade | Bobbi’s Kozy Kitchen – This isn’t your typical raspberry lemonade. This recipe comes with a little something extra. 10. Midori Colada Cocktail | Flour on My Face – If you like a colada, this will most likely be your favorite. Its summery colors are a big selling point, might I add. 11. 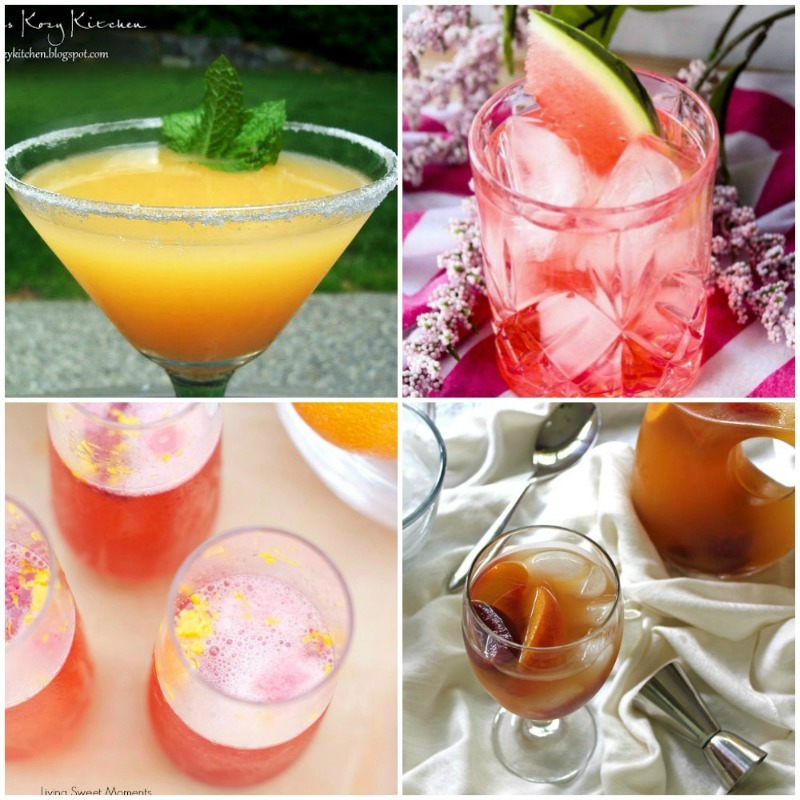 Killer Kool-Aid | Bobbi’s Kozy Kitchen – You know why it’s called “killer” Kool-Aid, right? 12. Watermelon Crush | My suburban Kitchen – If you want a bit of vodka swimming in your veins, this summery cocktail is just right for you. 13. Super Citrus Martini | Bobbi’s Kozy Kitchen – Nothing says summer like a bold citrus taste. 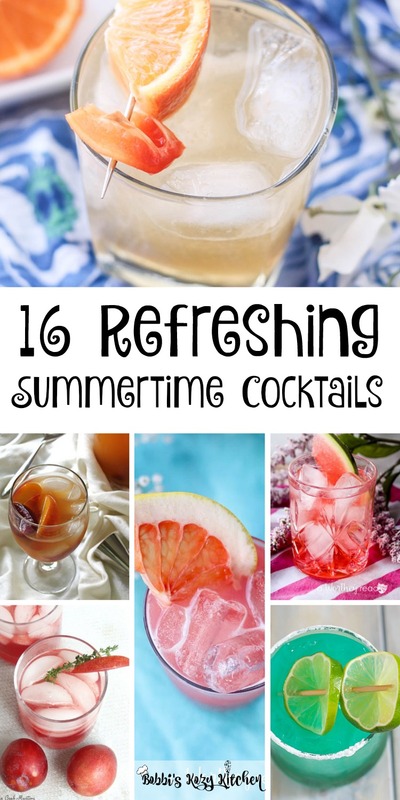 This cocktail has all the makings of summer. 14. Watermelon and Pinot Grigo Pucker | A Worthey Read – Pucker up for this tasty sipper! Kick off summer right with this delicious cocktail. 15. Orange Raspberry Sparkling Wine Cocktail | Living Sweet Moments – Want to step back from those harder drinks and just sip on some wine? Try this cocktail! 16. Ginger Peach Sangria with Plums | Whole Food Real Families – If you’re anything like me, you like the sweet drinks that go down easy. This is such a great summery drink. Thanks so much for including our Spicy Tangelo Ginger Mule! You are so welcome Jana! It sounds amazing!! !